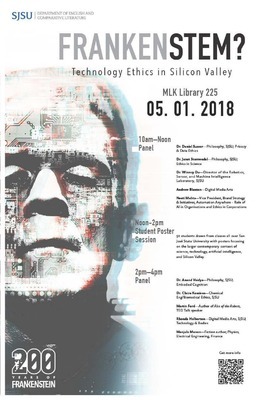 “Deep Humanities,” One-Day Symposium, Organized by Dr. Revathi Krishnaswamy & Dr. Katherine D. Harris, Department of English and Comparative Literature, San Jose State University. Disruptive Technology: Do Robots Want Your Job? 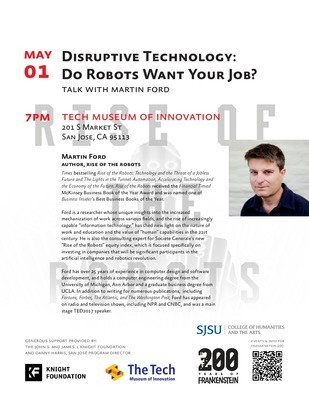 Keynote talk with Martin Ford, author of Rise of the Robots. 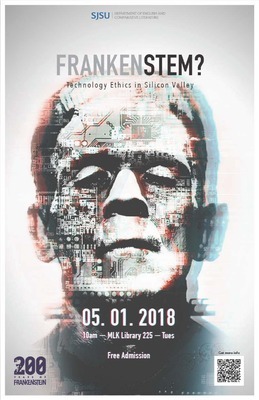 Part of the “Deep Humanities,” One-Day Symposium: FrankenSTEM? 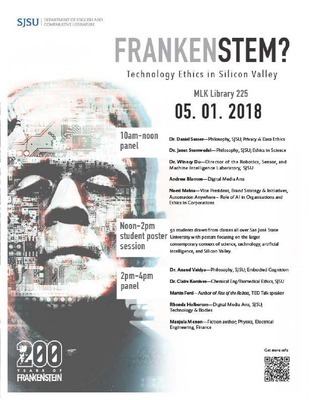 Technology Ethics in Silicon Valley, organized by Dr. Revathi Krishnaswamy & Dr. Katherine D. Harris, Department of English and Comparative Literature, San Jose State University. May 1, 2018, 7pm, The Tech Museum of Innovation, San Jose.